In Alabama, wills are processed through the probate court. After someone with a will passes away, the will is admitted to the probate court. The court will then appoint an executor, who may or may not be named in the will, to manage the will in terms of distributing assets and notifying family members. Depending on the timing of the petition, the probate court may also consider will contests. If a will is contested before the will is admitted to probate, the contest petition must be filed in probate court. 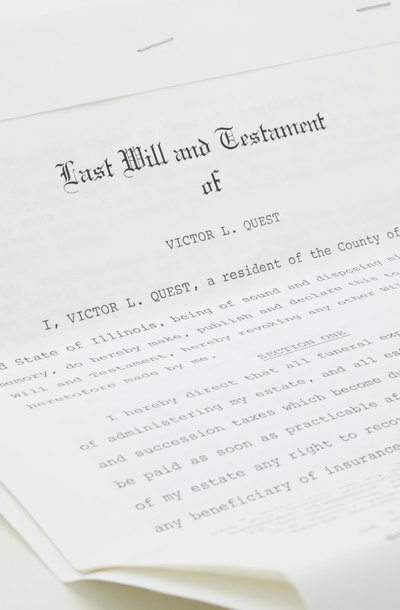 If the probate process has already begun, the contest petition must instead be filed in circuit court and done so within six months of the will being admitted to probate. In Alabama, only "interested persons" may file a petition to contest a will. An interested person is someone who is listed as a beneficiary in the will or someone who would receive part of the estate if the will were found invalid. For example, if the will did not name the decedent's child who would otherwise receive a portion of the estate under Alabama's intestacy laws, the child is considered an interested person who may file a petition to contest the will. Alabama law allows interested persons to file a petition to contest a will based on grounds that demonstrate that the will does not accurately reflect the true wishes of the decedent. A will may be challenged if the petitioner can prove that the will was not properly executed, meaning the will does not meet legal guidelines such as the requirement for witnesses. Further, a will may be found invalid if there is evidence the decedent was not of sound mind when he wrote the will or he was under undue or improper influence. To prove undue influence, evidence must be provided to show that the decedent had a confidential relationship with the person who influenced him, the influencing individual was controlling and dominant, and she used that dominance to convince the decedent to draft the will as she wanted. Alabama law does not specifically prohibit no-contest clauses, which provide that if someone challenges a will, he will be completely disinherited. However, Alabama courts have not ruled that no-contest clauses are always enforceable. Depending on the judge, the clause may or may not be enforced. Generally, no-contest clauses do not apply to valid will contests made in good faith, but instead mainly serve to prevent frivolous petitions made by bitter relatives who did not receive all they hoped for under the will. If the court finds the decedent's will invalid, his property will be distributed under the state's intestacy laws. Generally, under Alabama's intestacy laws, if the decedent had a spouse, she will receive the majority of the estate. If the decedent does not have a surviving spouse, the estate will go to any children of the decedent. Next in line are the parents of the decedent, siblings, grandparents and then more distant relatives. Code of Alabama: Section 43-8-199 - Contest in circuit court after admission to probate - Generally. Code of Alabama: Section 43-8-42 - Share of heirs other than surviving spouse. When a person dies, the majority of her property is processed through a judicial proceeding known as probate. During this process, the court will determine which will should be used to distribute the property contained in the estate, what property should be included in the estate, and who should serve as executor. The probate court will also settle all disputes related to the estate. The details of probate law vary by state, so you will need to check state law for specific procedures.